Some users of the new MacBook Pros (April 2010) report poor to mediocre battery life from the notebooks. Although real-world battery life often falls far short of manufacturer claims, several users are reporting battery life that is half or less of that indicated by some tests under similar usage conditions. These users are experience battery life of 3-4 hours under normal usage conditions. Anecdotal evidence suggests that poor battery life can be caused by constant engagement of the discrete NVIDIA GeForce GT 330M graphics card, even during usage of seemingly less-intense graphics applications. The MacBook Pro automatically switches between integrated Intel (lower power) and NVIDIA (higher power) graphics. Unfortunately, although there is an option to keep the higher-power NVIDIA card on at all times, there is no option to keep it off at all times. To see which graphics card your MacBook Pro is currently using, open System Profiler (from the Apple menu) and choose Graphics/Displays. Look toward the bottom of the NVIDIA GeForce GT 330M entry for “Online:” If it says yes, the NVIDIA card is on, if it says no, the card is not on. The only option to force the higher-power NVIDIA card to switch off, at this point, is to quit applications and processes that could be triggering the card to remain online. Otherwise non-graphic-intensive applications that have been cited for turning the card on include Tweetie, Path Finder, Skype, 1Password, Clips, HyperSpaces and NetNewsWire. You should also check for login/startup items that may be causing the higher-power graphics card to remain active. Login Items. 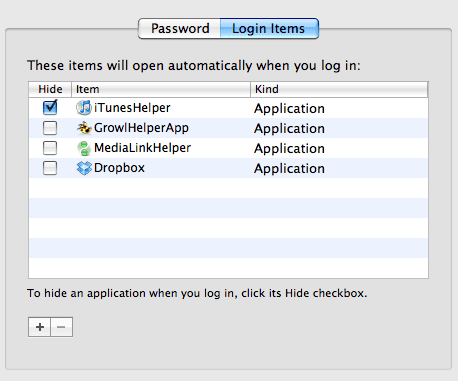 Open System Preferences from Apple menu (upper-left corner of the screen) then click “Accounts.” Choose your current account from the left pane, then click the “Login Items” tab in the right pane. 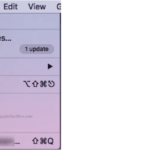 Deselect all items except those installed by Apple, such as “iTunes Helper” (you may need to click the lock box in the lower left of the screen to make changes). Save the changes, then restart and check System Profiler to see if the NVIDIA card is still engaged. Startup Items. Look in root level of your startup drive (e.g. Macintosh HD). Navigate to Library/StartupItems. Remove all items to a safe location. Restart and check to see if the graphics card is engaged. You can also use Activity Monitor to check for processes that might be engaging the card. Recalibrate your battery. 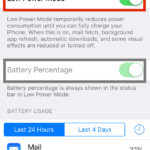 Although it likely won’t help with the graphics switching issue, you may want to try recalibrating your battery. FREE APPLE LOGIC BOARD REPLACEMENT ENDING IN 2016 FEB.
not exactly an ideal solution.